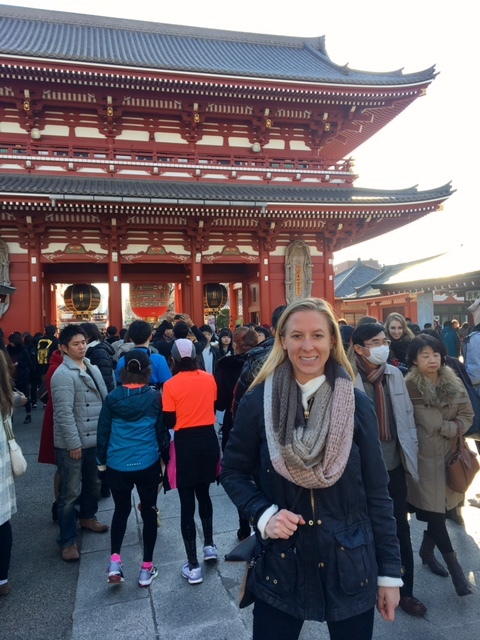 Earlier this month, I spent some time in one of the world’s largest cities–Tokyo, Japan. I went with an open mind knowing very little about the culture save some tidbits from AP History back in sophomore year of high school and my knowledge of navigating the Houston sushi scene as a vegetarian. I found the people to accommodating, the subway system efficient but time consuming, and the food to be an eternal mystery. 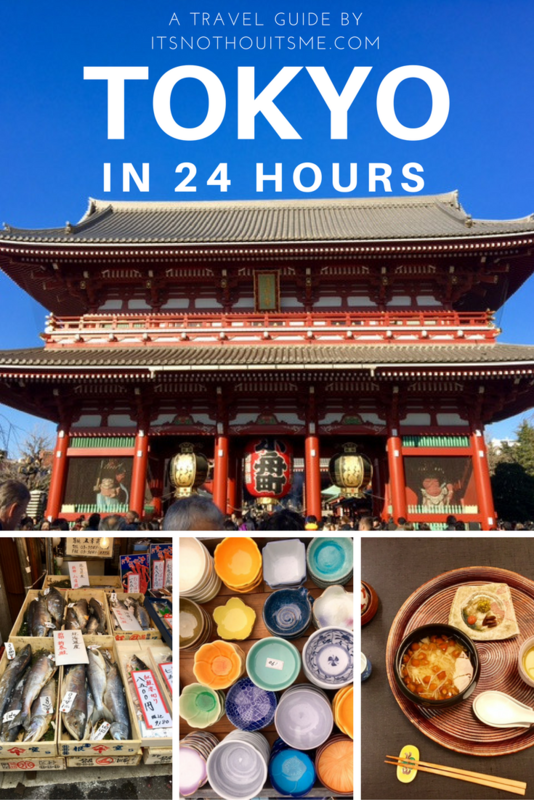 It was certainly the adventure of a lifetime and if I had to plan the perfect itinerary for 24 hours in this grand city here’s what I would do. 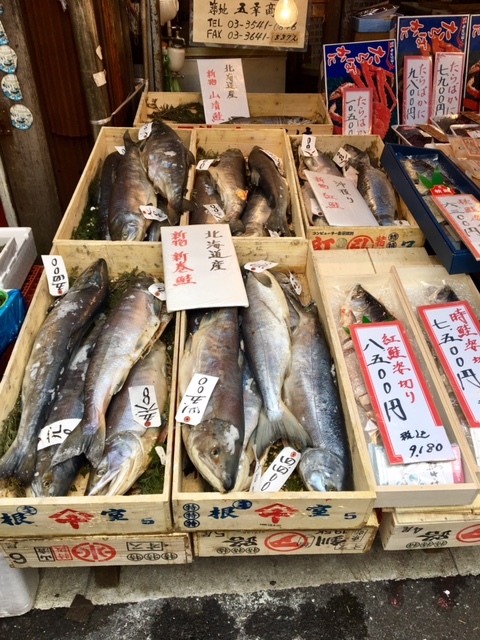 Hit up the Fish Market. It’s the largest in the world and opens at 5am. 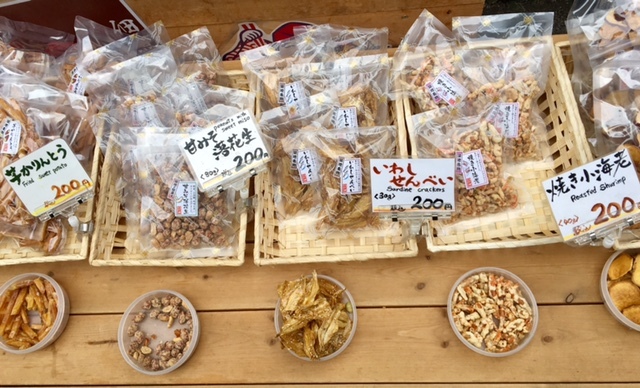 The stalls and shops are filled with crazy ingredients that I’ve only seen a few times on an obscure Chopped episode. It’s so incredible to see how their pantry of cooking ingredients overlaps very minimally with those in western dishes. Be sure to check out the ceramic on display as well! There are some gorgeous pieces for cheap that make perfect souvenirs. Then walk a few blocks over to the Ginza District and do some window shopping in the luxury stores. 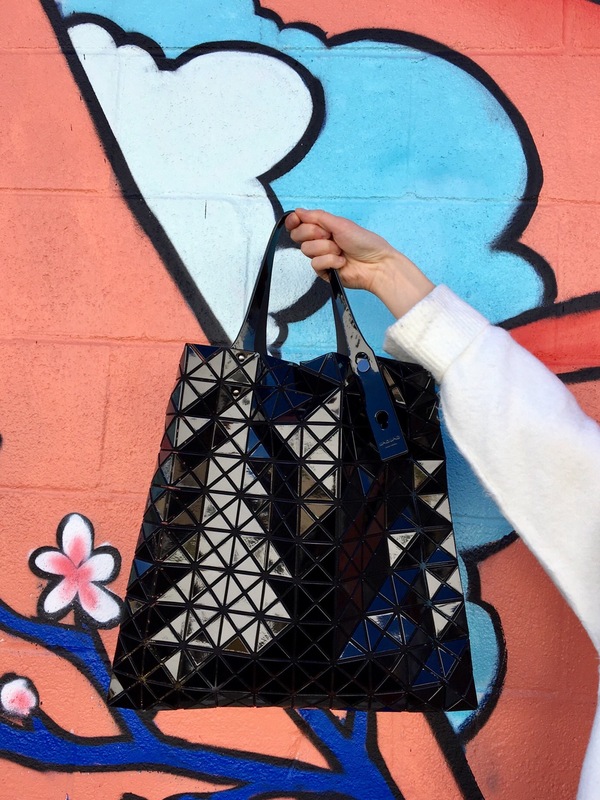 I made a spontaneous purchase at the Issey Miyake store and bougth myself a Bao Bao purse. I had been seeing this purse everywhere on my Asia trip–Hong Kong, Macau, Singapore–and after seeing the price was nearly half in Tokyo (it’s a Japanese brand), I jumped at the opportunity and grabbed the classic black paten leather tote. Here in Houston, I’ve gotten compliments on it everywhere I go! 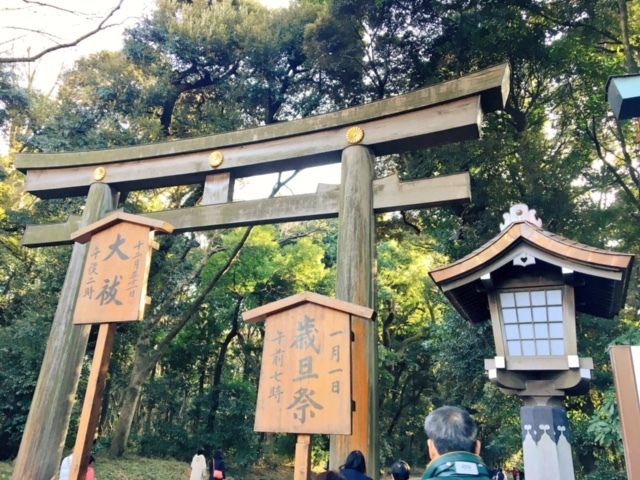 The Meiji Shrine in Yoyogi Park. 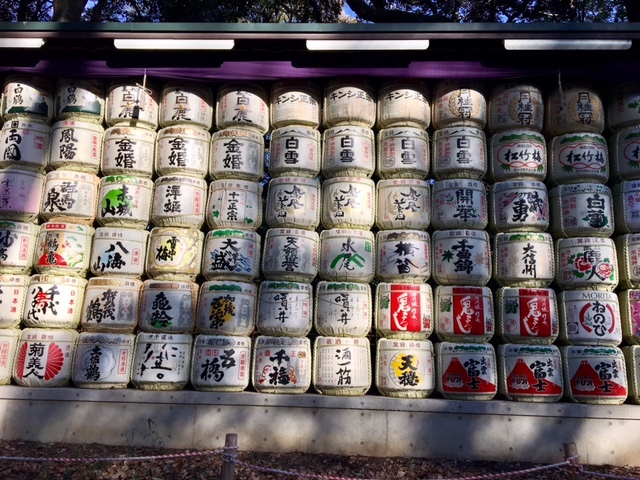 Take a walk around the grounds to see hundreds of sake barrels and lanterns lining the paths in offerings. Afterward walk around the infamous Harajuku neighborhood and see the vibrant Tokyo fashion come to life. bought myself a super Japanese style sweater from Jeanasis. What’s super trendy in Japan right now is boxy, loose fitting clothing. I saw lots of over sized cropped pant legs, chunky sweaters, and minimalistic rectangle shaped coats in greys, blacks and other neutrals. Still fighting jetlag (and the cold weather!) on this leg of the trip, I grabbed a ginger latte at this adorable coffee stand called Double Tall Coffee. Highly recommended! We also stumbled across the Togo Shrine and happened to see a Japanese wedding process in progress. So cool! 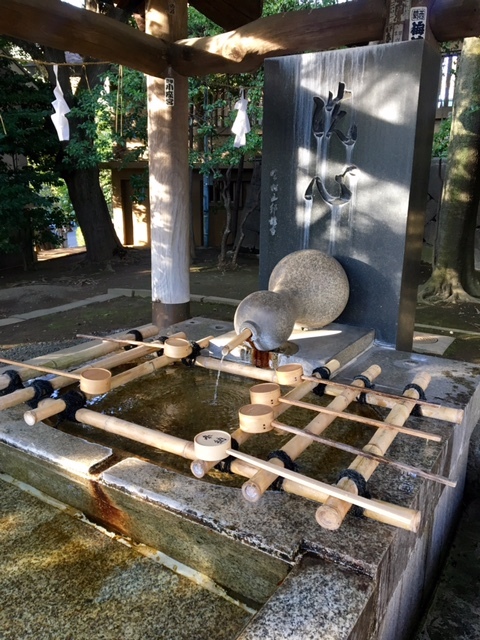 The Yasukuni Shrine. Beautiful but borderline controversial because it honors soldiers that fought in Japan’s wars. The museum on location is pretty interesting and tells the story of the World Wars from a uniquely Japanese perspective…ie the US “forced” Japan into bombing Pearl Harbor. Across the street is the Imperial Palace and Gardens. It closes at dusk so be sure to get there before the gate closes but these gardens are great for a walk (or run!) as there’s a nice trail that’s popular among locals. The Asakusa Shrine. 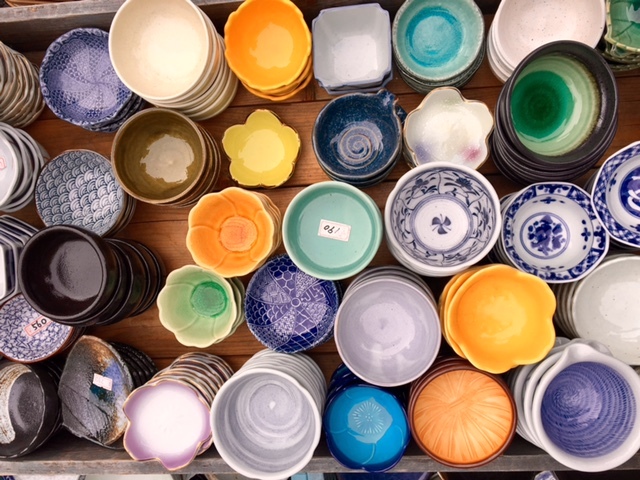 Stroll through the Asakusa Markets and sample the treats among the stalls. I tried a soba flavored sugar cookie. Not the greatest sweet I tried on this trip, but it was cheap and certainly unique to Tokyo food scene. 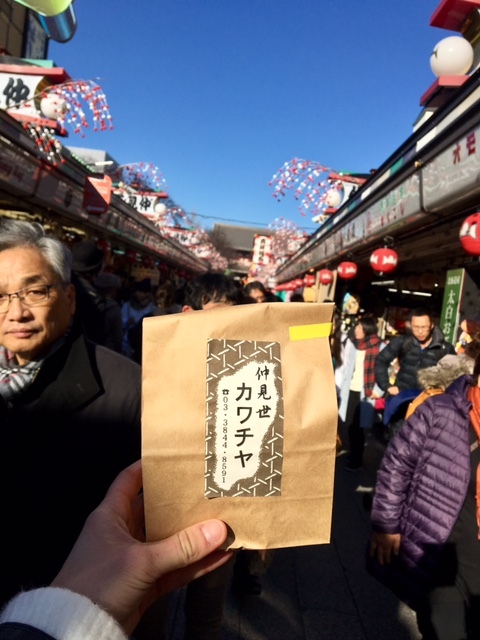 The markets are a good place to pick up souvenirs as well. The Askakusa Shrine at the end of the main strip is massive and awe-inspiring. While there were crowds at many of the shines that we visited, this one was one of the largest with long lines of people queuing up to cleanse themselves with water or incense before going into the shine to pay their blessings. At all the shrines people would toss a coin into the coiffeur and do a sequence of bowing and solemn clapping as part of the offering. Visit the busiest intersection in the world at Shibuya Crossing–there’s even a snap chat filter for it! Head to the second floor of the Starbucks on the corner to watch the craaaaazy masses of people cross when the green walk man appears. It’s mesmerizing. If you’re into great views, you can also check out the Skytree–caution there are looooong lines for tickets. I personally really enjoyed seeing the Tokyo Tower lit up–it kinda reminds me of the Eiffel Tower. If you’re in the area, I definitely recommend making a reservation at either Shiba Tofuya Ukai or Diago. 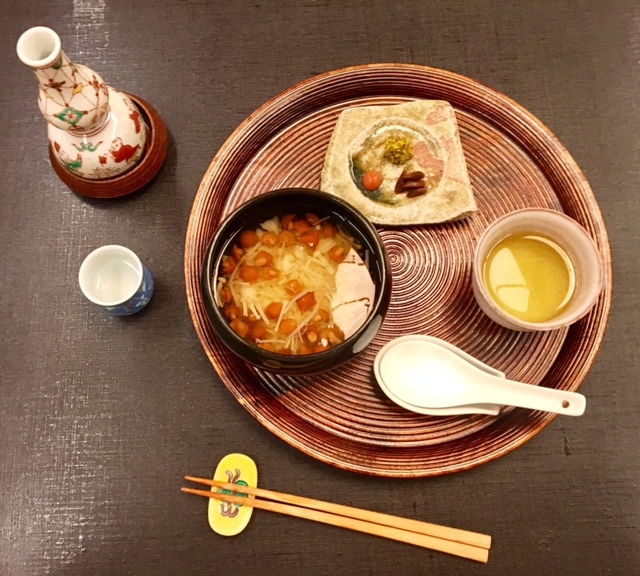 Both are super traditional Japanese restaurants that specialize in tofu (vegetarians rejoice!). Shiba is nestled at the foot of the Tokyo Tower and offers a tasting course for vegetarains and meat-eaters alike. I ate at Diago a few blocks away and it was honestly the best meal I’ve ever had. It was a 15 course tasting meal made with fresh, local ingredients. 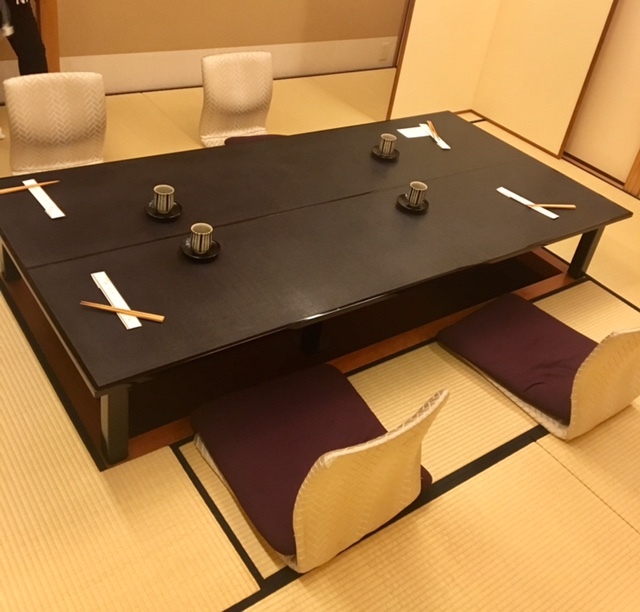 We sat in a private room at a table on the floor and were served by two women in traditional Japanese kimonos. We had to take our shoes off before entering and had views of a picturesque Japanese garden. AH-freaking-MAZING. It was a set menu and a bit pricy (~$150 / person) but totally worth it. I’m so excited by it I’m looking to make reservations at Oxheart in Houston who does a similar meal presentation. Expect a follow up blog post detailing the amazingness of the meal. Download Google Translate. Despite being one of the largest cities in the world, very people speak English and even less signs / menus are written in our alphabet. The subway system is a bit confusing to navigate because there are a few companies that run different lines, so you might need to buy multiple tickets depending on where you’re going in the city. Sometimes you have to insert both tickets into the machine at the same time when you’re switching lines. Tags: Asakusa, Asia, Diago, Harajuku, japan, Shiba Tofuya Ukai, Shibuya Crossing, shrine, Tokyo, travel, vegeatarian, wanderlust. Bookmark the permalink. I’ll be going to Japan for the first next June. Thank you for the great suggestions! Awesome! 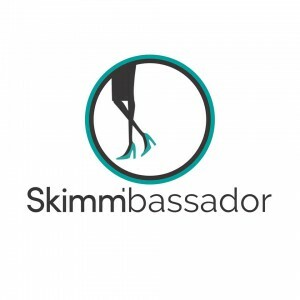 Let me know if you have any questions when planning your trip! We JUST got back from Japan too, and we loved it so much! It’s funny how much our trips overlapped. 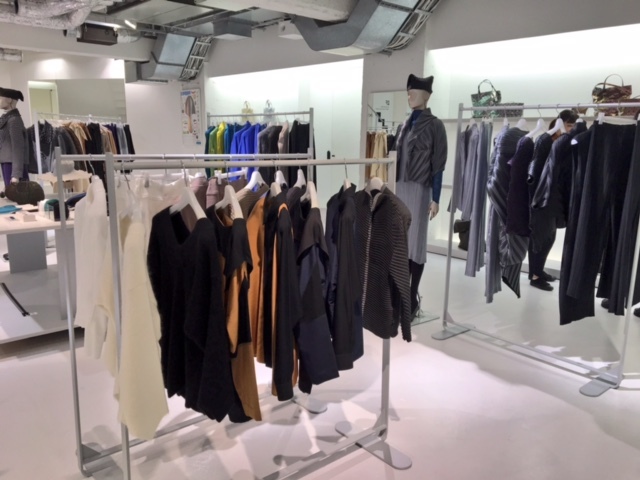 I adored the Tokyo fashion and am dying to go back and spend more time shopping there! Yes it was so fun! What was your favorite part? The highlight in Tokyo for me was Harajuku – the fashion was completely different from anything I’ve seen here in Houston/the States. It was like being transported to a different world. Not necessarily my style, but fascinating. Yes! I loved that too! So fun!